Dependant support claims should be done with the assistance of an estate lawyer. Call 1-866-677-7746 for an appointment. the dependant person’s ability to be economically self-sufficient in the future. It is important to note that in Ontario a person has only six months to bring a dependant support claim from the issuance of a Certificate of Appointment of Estate Trustee with a will (probate), or a Certificate of Appointment of Estate Trustee Without A Will (letters of administration). The Court has discretion to extend the limitation period in certain circumstances. If the dependant person was married to the deceased individual at the time of death, the surviving dependant spouse may have a claim for an equalization of the net family property pursuant to the Ontario Family Law Act. The surviving spouse would have to elect between taking under the will or making a claim for equalization. The value of a real estate asset has decreased since the time the will was made, and electing the equalization payment makes more financial sense for the surviving spouse. It is important to note that the surviving spouse must chose to take under the will or to make a claim for equalization payment within six months of the date of death. If the spouse does not elect to take under the Family Law Act within six months of the date of death, the law will presume the spouse has chosen the entitlement under the will (the law and limitation periods may change through legislation or Court decisions. Always consult with a lawyer to get advice). In certain limited circumstances it may be possible to make an application to the Court for an extension of this six month period. It is therefore vital to consult an estate lawyer as soon as possible after the death of a spouse. Part V of the Succession Law Reform Act allows an adult child to make a claim against a deceased parent’s estate. In order to make this kind of a dependant support claim, the adult child must have been supported by the deceased parent, or the parent must have had a legal duty to support the adult child immediately before his or her death. For example, if there is a pre-existing child support order from the Court for an adult child who is continuing with university or college education, the child may have a dependant support claim against the estate. Another situation that may permit an adult child to make a dependant support claim is if the adult child had a disability or mental health illness. The same is true if the adult child gave up a job to care for a critically ill parent and in exchange received food, shelter, and payment for all living expenses from the parent. The case law in this area of law is nuanced and the outcome of a dependant support claim depends entirely on the facts of each case. 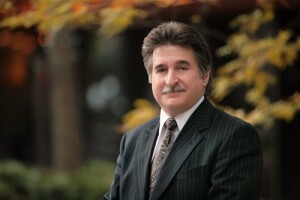 Charles Ticker has been a lawyer for over 35 years and restricts his practice to estate litigation, estate administration and mediation of estate disputes. In addition to being an estate lawyer, he is also a qualified mediator. He can assist you with either making a claim or if you are disputing a dependant support claim made against an estate of a deceased individual. Charles will help you determine if you have a claim for support and he will advise you if it is practical to pursue. An experienced Toronto estate lawyer can assist you in understanding the litigation process and with coming up with an effective litigation strategy.